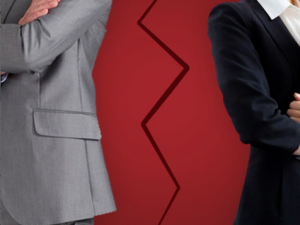 Like the splitting up of once head-over-heels newlyweds, the parting of ways in business is often tricky, sad and more than a little complicated. Add in the complexities of an all-star cheer business, and breaking up can get downright sticky. So what happens when one of the partners of an all-star gym wants to retire or pursue other passions? Legal experts advise not waiting until one person is ready to retire—or wants out—to discuss what will happen with your beloved gym. Business litigator Jay McDaniel, founder of the McDaniel Law Firm, P.C. says it’s imperative to think about not just getting into a business but getting out of it—especially when it comes to cash. “The cost of not having planned for the exit as one of the principal owners of the business is usually multiples of hundreds of what it would have cost to have done it at the time,” he says. D.S. Briggs, Tumbling Director of Metro East St. Louis-based Pride Kids Sports Center, has a different perspective on buyouts. Years ago, he was a staff member of a buyout that was initially treated like a merger so as not to lose key support from its team families and community. In that situation, the gym he was employed by wasn’t necessarily looking to buy or acquire another program, but when they were approached by another gym to join forces to compete with a mega-gym moving into the area, the merger worked—at first. “Maybe about a year or two later, we ended up buying the program out completely [rather than being equal partners] because things had deteriorated to the point they had no option but to sell,” he says. And when it comes to what McDaniel calls “business divorce” (when one partner wants out), he says most business owners don’t prepare for it when they are just starting out. In his experience, only about 25 percent of his clients have given it real thought. Most, he says, find it difficult to focus on an event that could be 25 years away. “The idea is, ‘we will deal with it someday’ or ‘yeah that’s a good idea’. [They always say], ‘We’ll get back to you,’” shares McDaniel. He adds that one effective way to do that is by taking out life insurance policies on the principals of the company. With that method, if one of the co-owners dies, the business will have the proceeds of the life insurance policy to pay their family the value of their share of the company. And when it’s time for retirement, the business will have the cash value of the life insurance policy to pay the retiring partner or withdrawing partner. 2. Incorporate a deadlock clause. McDaniel also suggests putting a deadlock clause into a well-drafted business plan, which can save a lot of heartache down the line. “It basically says that if we can’t agree, then I can make an offer to buy a proposal,” he says. 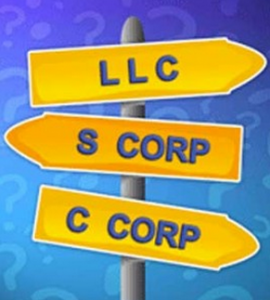 Subchapter S-corporations (“S-corp”): Profits and losses flow through to the owners. There are some requirements to qualify, the key one being that all of the owners must be U.S. citizens or have U.S. residency. LLCs function very much like subchapter-S corporations, but the nomenclature is different. (For instance, LLCs have members instead of shareholders). Subchapter C-corporations: These are subject to double taxation (i.e. on both profits and dividends). For start-up businesses, that often does not matter or only has marginal consequences. Close corporations: Some states recognize what are called “close corporations.” These will have a small number of shareholders and the filing/paperwork requirements are often less stringent. Visit our “Biz Docs” section for handy forms and resources. 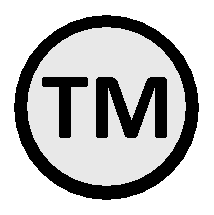 “There’s no reason in the world why a gym cannot have a trademark in its name [or] its logo. And there’s no reason that a gym can have a trademark in its color combination the way a university may have,” says James Astrachan, former chair of the Intellectual Property Committee of the Maryland State Bar Association. 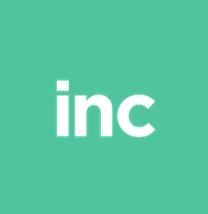 Another gym using your brand marks can be embarking on “infringing conduct,” because this is likely to cause confusion between them and you as the senior user, he says, or imply an affiliation or endorsement that is not there. His recommendation is that new gyms go to a lawyer and order a trademark search, as there are databases full of registrations, articles and other information that can be mined to determine that your intended name, logo and/or colors have not already been trademarked. “A lawyer would give somebody a clearance that the mark that you have determined to use is not likely to cause confusion with another existing mark in your marketplace,” Astrachan says. You’ve worked hard to establish your own gym, creating a unique identity with colors, logo and uniforms. A few years later, having built a solid reputation, you’re at an event when in swaggers a brand-new team—wearing colors very similar to yours, a logo that looks awfully close to yours and (wait for it) practically the same name as yours, just with a different spelling. And Courtney Smith-Pope, owner of Cheer Extreme, was even surprised to find herself in the competition event business—or so it seemed when a company popped up called “Cheer XTREME Events” using actual photographs of her athletes in uniform, complete with her gym logo. All three gym owners had put a lot of thought and effort into creating a brand for their own gym, so to see imitators was not something to be taken lightly. Jim Lord, executive director of the American Association of Cheerleading Coaches and Administrators, says that the first step to protecting your brand is to look at your gym as a business, not just something you love. Trademarking your team’s name or logo is simply protection, he says, because if you find your gym in conflict with another, having the paperwork registering your trademark is proof in your pocket. Lord also recommends gym owners go to their chamber of commerce for guidance on local laws. Having an attorney on retainer is helpful, he says, because they can be familiar with your business and ready to go to work for you. Intrigued? 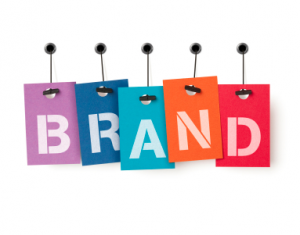 Visit our blog for more tips from lawyer James Astrachan on the legal aspects of protecting your brand!